Jason Maghanoy is a graduate of McGill University and the National Theatre School of Canada’s Playwriting Program. Currently, he is the Director of Membership & Partner Success at Toronto Life with a focus on digital innovation and premium membership. Prior to Toronto Life, he was the Director of Revenue at NOW Magazine, Senior Development Officer, Corporate Partnerships at Canadian Stage, the Manager, Community Investment at Toronto Arts Foundation, and a Sponsorship & Advertising Coordinator at TIFF. 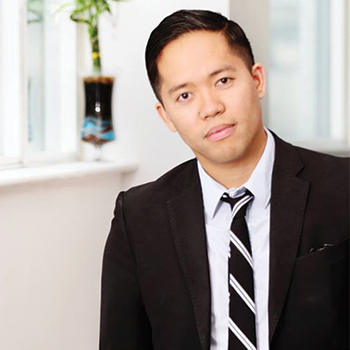 In addition to his work in corporate partnership development and community engagement, Jason is considered one of the brightest emerging leaders in the City of Toronto. He is a Mentor at Ryerson's Social Ventures Zone and Transmedia Zone, a member of the Toronto Region Board of Trade's Young Professionals Executive Committee, and a member of the WorkInCulture Inclusive Leadership Advisory Committee and Board of Directors. He was also a member of CivicAction’s Mental Health in the Workplace Champions Council, NXT City Advisory Board, an artsVest corporate sponsorship mentor for Business for the Arts, and the past Chair of the ArtReach Toronto Steering Committee. Jason is also a playwright. He has been the playwright-in-residence at Theatre Passe Muraille and Young People's Theatre, a member of the Banff Playwrights Colony, a former member of the Tarragon Playwrights Unit, a Finalist for the Soulpepper Academy, a Finalist for the Lila Acheson Wallace American Playwriting Fellowship at Juilliard, and a Finalist for the 2017 K.M. Hunter Artist Awards. Most recently, he was the playwright-in-residence at fu-GEN and was a member of the Playwrights Retreat at the Stratford Shakespeare Festival.